$1 Money Maker on Beneful Dog Food! 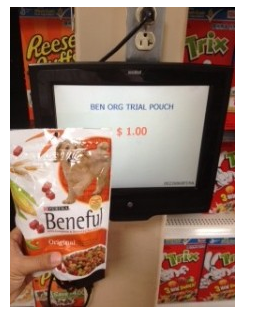 Hopefully you have the necessary coupon to get a $1 money maker on Beneful dog food at Walmart! = FREE + $1 in overage! If you can't find these small bags in the aisle, they may be hanging at the ends.